Nanolive’s 3D Cell Explorer allows for the creation of very powerful 3D images and 4D time-lapses of living cells with very high spatio-temporal resolution (x,y:180nm; z:400nm; t:1.7sec). 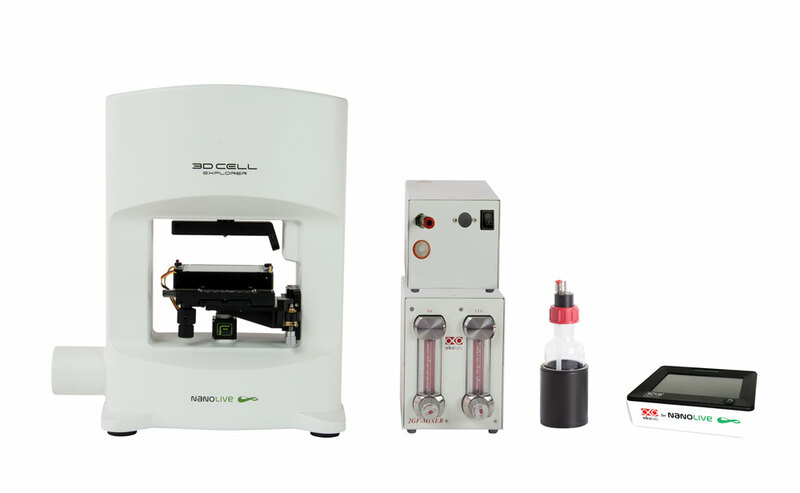 However, to take full advantage of the microscope’s live imaging capabilities, a proper setup of Nanolive’s top stage incubator is necessary. The goal is to guarantee maximal experimental stability and to avoid any stress to the cells while they are in the top stage incubator. In our newest application note we will describe how to properly set up Nanolive’s top stage incubator such that mammalian cells can be imaged over a long period of time (up to weeks). To achieve this, we will guide you through the key steps for optimal humidity, CO2 and temperature control as well as correct imaging regime. You should then be able to take advantage of the most impressive and unmatched 3D Cell Explorer capability: long-term, high-frequency live imaging. Please visit our application notes page for more application notes with the 3D Cell Explorer.